A fresh twist on a performance riding boot, the Probaby delivers new style with a hint of old-school that is both cute and comfortable. A cowgirl can never have too many boots! 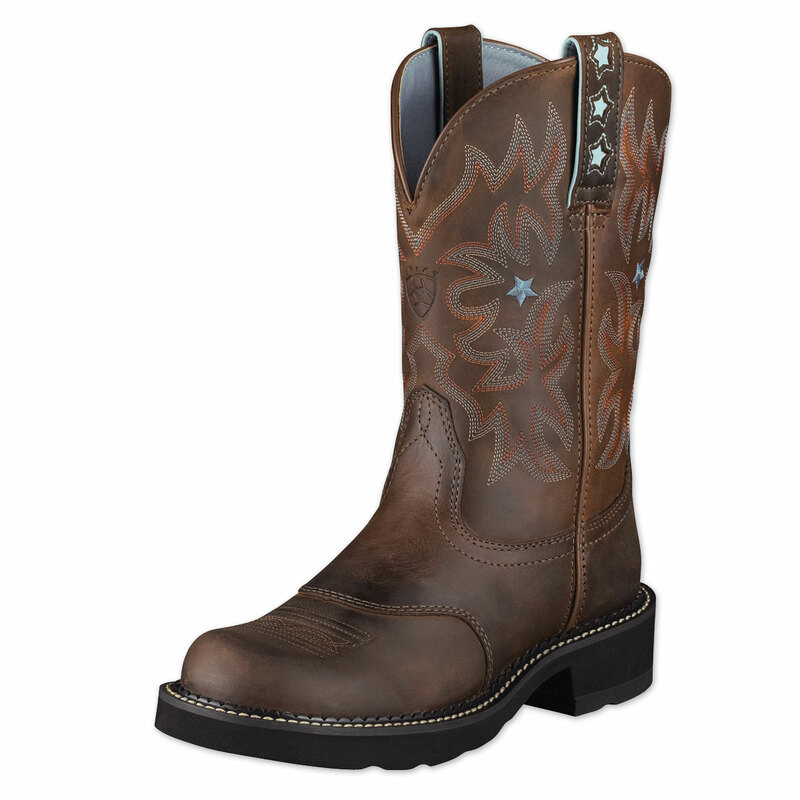 Ariat® Women's Probaby Boots is rated 4.6 out of 5 by 45. Rated 5 out of 5 by BigFeet from Awesome boots for comfort. I wish they would make this sole in all styles on their boots. I wear these to work (office environment), in the field and in the backyard. So comfortable! Only drawback... I wear a size 12 and they only make a hand full in this size. Suggestion: Make all womens boots in a size 12 or setup a custom order for fit - that way I can order the frilly ones in my size. It sucksk to have big feet...You don't have this sole in mens boots... not that I would wear them.. Women's boots are prettier.. just do not come in my size.. Rated 1 out of 5 by Shiny from Disappointed I'm a big fan of Ariat and have always enjoyed their boots, however I'm very disappointed with this pair. Bought them about a year ago for everyday use and within a month the inside lining was ripping. Six months in, the stitching holding the sole to the boot started coming undone. I usually get about two years out of their boots before needing a new set but after these, I feel like Ariat is beginning to make boots out of cheaper, lower quality material. Rated 5 out of 5 by Mamafox94 from About to buy my 3rd pair LOVE THESE BOOTS I got my first pair when I was about 16. They lasted me over 3 years with every day wear. I was very rough in these boots. Lots of horseback riding, hiking, and walking. I used these boots every single day and never really oiled or conditioned them at all. Each pair I've had had lasted me over 3 years. They eventually wear out in the heel or around the ball of my foot because my feet are very wide. I've tried others boots and I always find myself coming back to these. They are EXTREMELY comfortable. I highly recommend them. Especially if you have wide feet! Rated 5 out of 5 by amps from My favorite boots I bought these from a local feed store/western wear store on special order about 10 years ago, and I still love them. They last forever and I love the stitching and stars. You won't be disappointed if you get these boots. Rated 5 out of 5 by Soupie Sue from Only boots I ride in, hike in, walk in! This is my 5th pair of these boots. I swear by these boots. Comfortable all day long no matter what I’m doing. I love these boots. Rated 5 out of 5 by Stacer from Decent quality for price I’ve owned several pairs of ariat boots. The foot bed of their Fatbaby and probably boots are ridiculously comfy. I do NOT ride in the Fatbaby style but have worn them all day at shows or during work and they are great. Rated 5 out of 5 by SavannahL from So comfortable and great riding boots When I was in the market for new boots I did a lot of research online and went to a Boot Barn to try on both Justins and Ariats. The reason I wanted new boots was that my old ones hurt my back after walking around the barn all day so I knew that my new boots had to be the most comfortable ones I could find. I found that every Ariat I tried on with the ATS technology was SO much more comfortable and supportive in the arch than any of the Justins or Ariats with the 4LR foot bed. I also wanted a boot that was obviously for riding, not for fashion, as well as an understated color (I'm warming up to the turquoise shafts but at the time even these baby blue stars made me turn up my nose). I have never liked the FatBaby style with the short shaft, but these had a lovely crepe sole so I had to try them. Turns out that the Minnie Mouse shoe look is kind of cute, I'm definitely warming up to them. They are extremely comfortable and they hold my foot well in the stirrup. They also have a great spur rest. 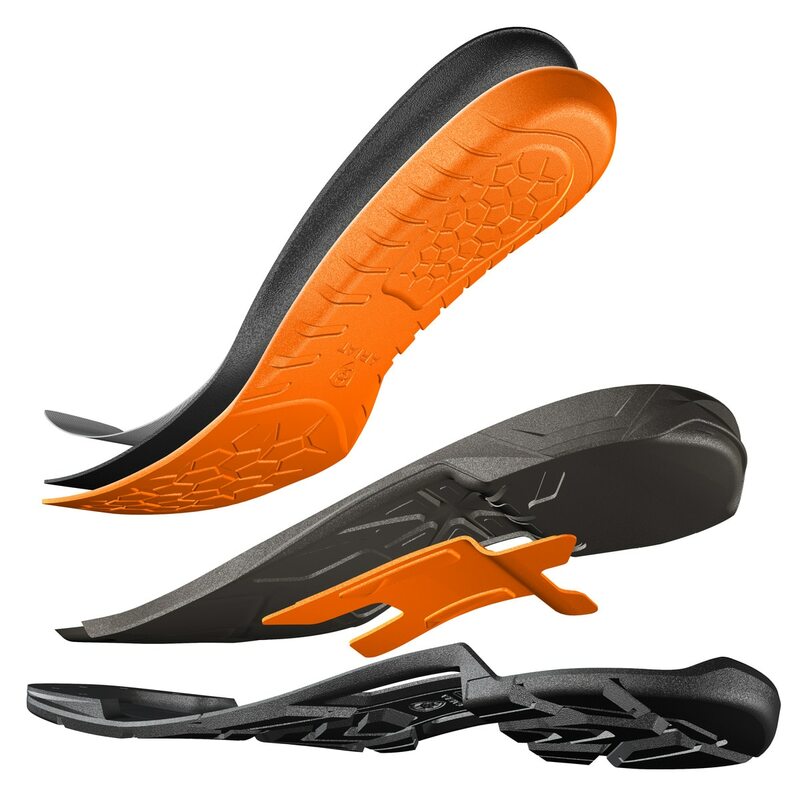 I'm so pleased for the way these perform in the saddle. I'm probably an Ariat convert for life. Rated 5 out of 5 by Suess from Nice height, true-to-size, good leather, comfy Roomy toe-box, good shaft height for working or riding. Will get another pair to replace less practical short-top boots that lack lower leg protection. Rated 5 out of 5 by County girl from Great boots My husband got this for me as wedding gift because old boots had no sole left. I wear this boots all the time even now being on crotches. I could wear no matter what their so comfortable. I love them.